Who said that going to a gig is expensive?-No, it doesn't have to be especially in Toronto. There are so many opportunities in the city to catch a free gig. This week is an amazing week for that. See the below lists for a free show this week! 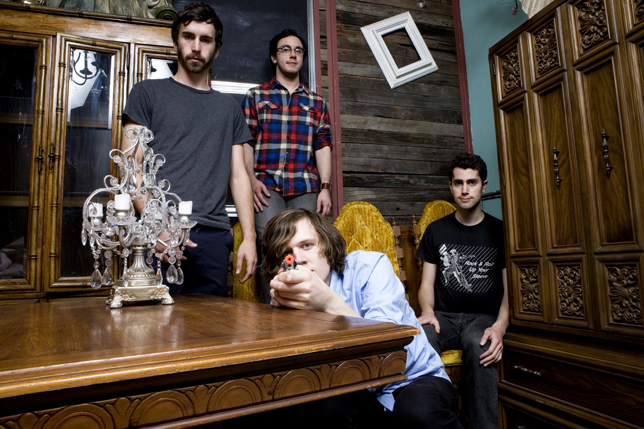 Tokyo Police Club- Upon the completion of 10x10x10x10 project to cover 10 songs from the last decade, Newmarket pop rock quartet is ready to shake Toronto's rock Radio station, The Edge!! Mother Mother- Another great gig sponsored by the Edge is BC rock band, Mother Mother. They also has a show at the Sound Academy in the evening if you want to catch a later show. A Primitive Evolution with The Standstills- Toronto goth rock band, A Primitive Evolution is ready to celebrate TIFF with NXNE. They will surely bomb the venue with great tunes. Click here for more details.